Welcome to the homepage of the Public Safety Committee! River North is primarily located in the 18th District (Near North, Cmd O'Shea) and 12th District (Near West, Cmd Chung) of the Chicago Police Department. To see the CPD district map, go here. Both districts have strong community policing or CAPS programs (Chicago Alternative Policing Strategy)*. The RNRA Public Safety Committee (PSC) exists to support the CAPS office and advance the neighborhood’s public safety agenda so all residents and business owners continue to live in a neighborhood publicly recognized as one of the safest in Chicago. Our strategy is to leverage our collective neighborhood awareness and involvement to work hand-in-hand with our local officials to foster an inclusive community characterized by partnership and civility. The Committee has established three strategic objectives: Awareness, Communications, and Advocacy. Awareness: The Committee is expected to maintain an awareness of issues and initiatives affecting public safety in River North as well as provide input to local officials on programs and projects aimed at improving public safety in River North. 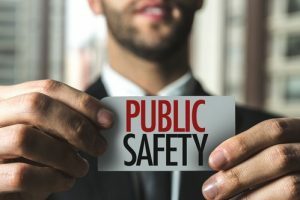 Communications: The Committee monitors, reports, and aggregates public safety information and communicates to River North residents and businesses. Advocacy: The Committee accepts and aggregates concerns voiced by residents and businesses and will either advocate on their behalf or facilitate community participation both within and outside existing public safety outlets. For any questions or concerns about public safety in River North, please email us at publicsafety@RNRAchicago.org or plan to attend one of our Public Safety Committee meetings. For more information on PSC meetings, please see the Public Safety Meetings page. Follow "NEWS" on both RNRAChicago.org and our mobile app, My River North, where Community Alerts are posted the same day they are received from CPD.